Recently I decided to change hosting providers from Bluehost to Siteground after having a few issues with them. 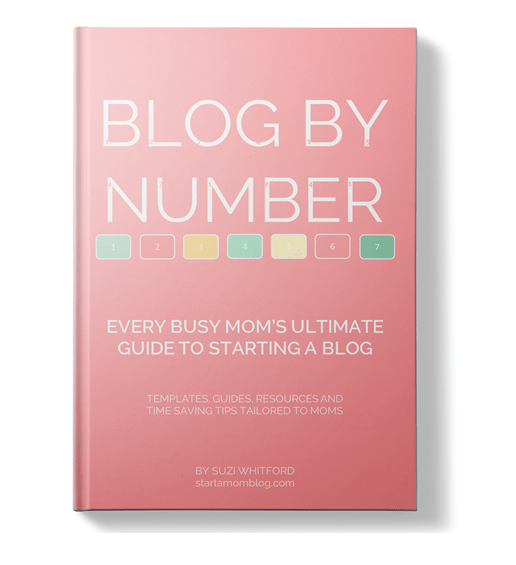 If you are just starting out with your blog, Bluehost is a great choice! They provide hosting at a great price and if you decide to end your contract, you will be refunded the time you did not use on the contract. If you are interested in starting a blog with Bluehost, check out my tutorial. 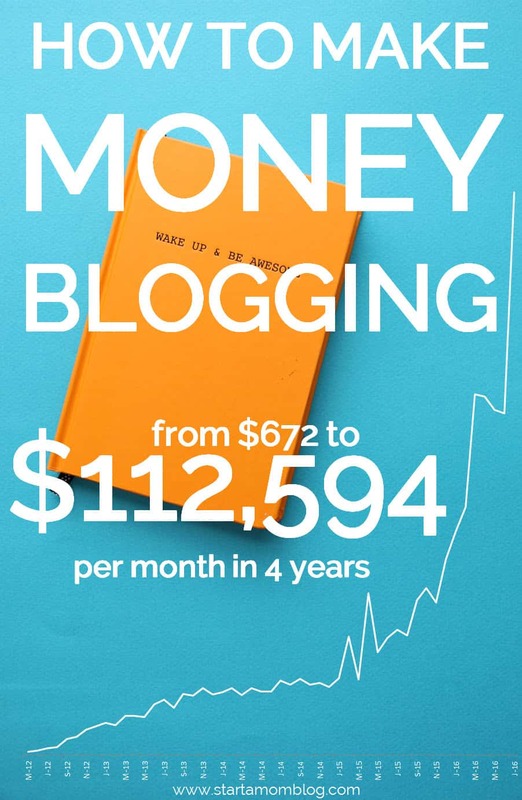 I decided to switch to SiteGround after great reviews from other bloggers on the best hosting service for your blog and because my site is growing really well. 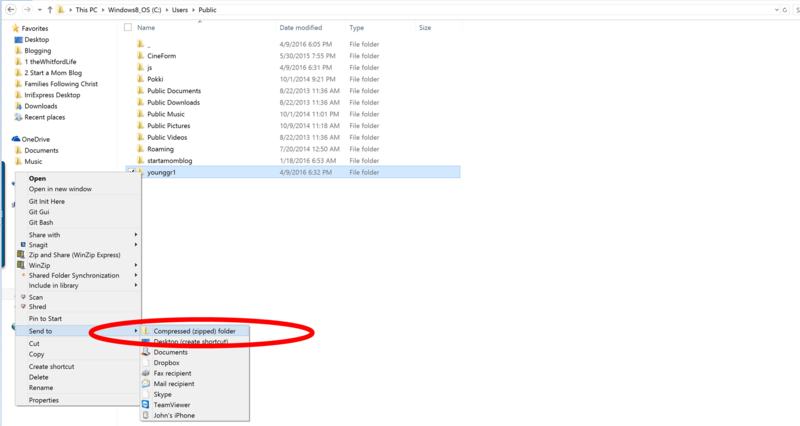 I wanted to take time to put together this tutorial because it took me a while to figure out how to do a full cpanel backup and upload it to my new host. 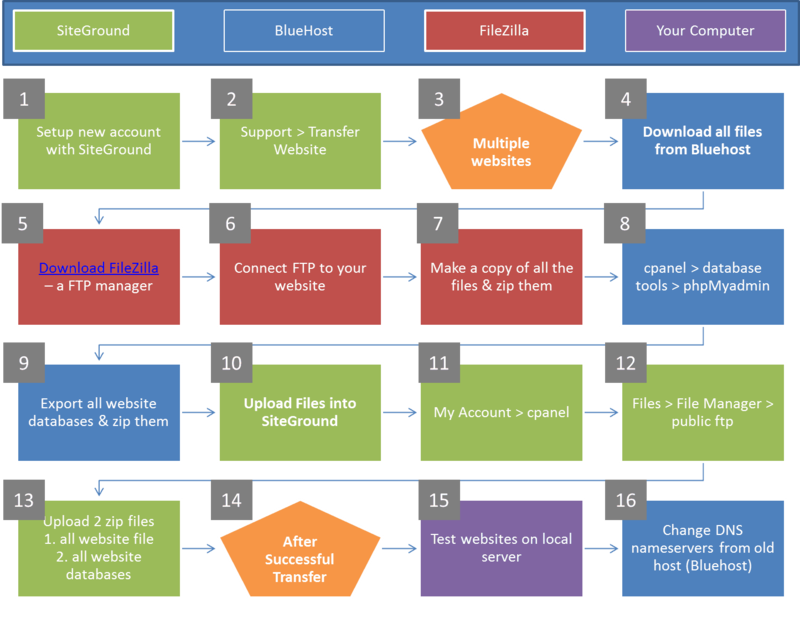 Instead of you struggling, below are the clear step by step instructions how to transfer your site from Bluehost to Siteground with a full cpanel backup. Why a Full Cpanel Backup? SiteGround transfers 1 site completely free fro you, it is included in the contract. But I had 6 sites. And if I wanted SiteGround to transfer those additional sites for me, it would have cost me $30 per site. They told me if I uploaded the full cpanel backup myself, I would not have to pay for the additional transfer of the other 5 sites. Create a new account with SiteGround. Their customer service is SUPER fast and very helpful if you have any questions. I’ve never waited more than 5 minutes for service. 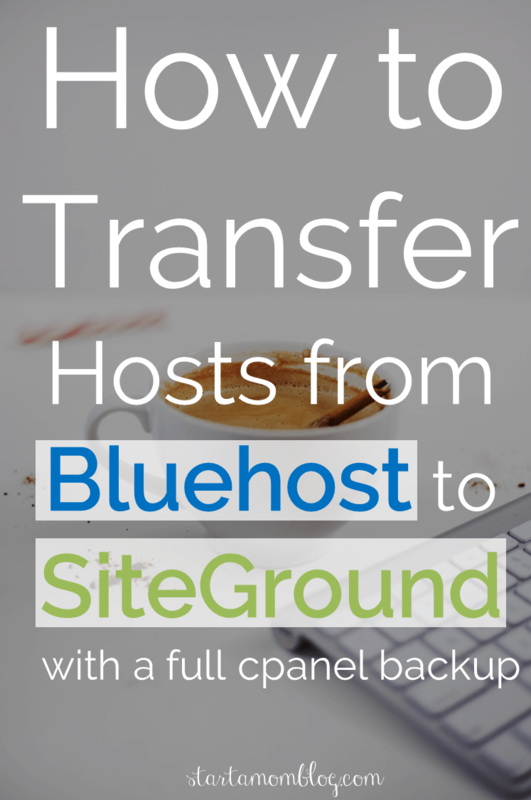 Start the process from switching from Bluehost to Siteground by going to Support and clicking on Transfer Website. Fill in your information from Bluehost below. The team at Siteground will use this to log into your account and setup your website. Step 3: Backup cpanel from Bluehost. There are two methods how to do a cpanel backup in Bluehost. Method 1: Go to cpanel > Files > Site Backup Pro > Full Cpanel Backup. If your site is large the files may become corrupt by doing Method 1. Method 2 involves using a FTP. Click on cpanel on the top menu. Click on Site Backup Pro. Click on Full Cpanel Backup. Select the type ‘tar’. 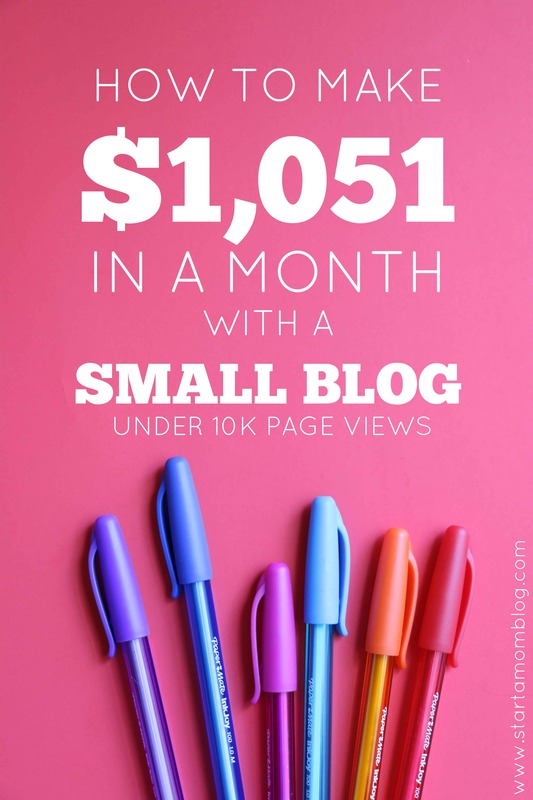 If your website is not too large, this method will work. Skip to Step 10 to upload your files to SiteGround. If your site is large with many files, downloading everything through your browser could corrupt your files. This happened to me. So I had to use Method 2 and download my files with a FTP. 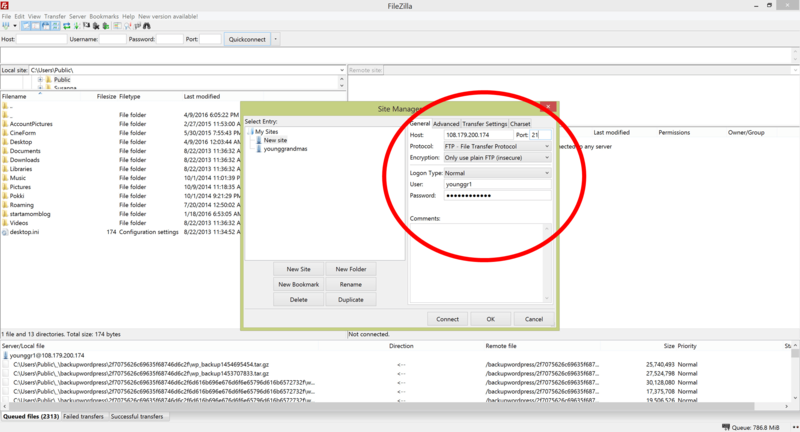 FileZilla is a FTP manager. It connects to your hosting provider and easily downloads and uploads files to your site. Go to File > Site Manager and type in the following details. HOST: Your Host is the Shared IP address on your cpanel page. See below. Right click on the public_html folder and select Download. This will download your sites. It will take a while. After the files have downloaded. Zip them. Then you can upload 1 file to SiteGround instead of individual files. You also have to download all of your website databases. On Bluehost, go to the cpanel > database tools > phpMyadmin. Select a site database on the left side drop down menu (example: _wordpress32c). Click on Export at the top, make sure your selections are the same as below, and click Go. Do this for all of the website databases you have. Again, zip the files together so you can upload just 1 file to SiteGround, instead of each individual database. Zipping the databases together. 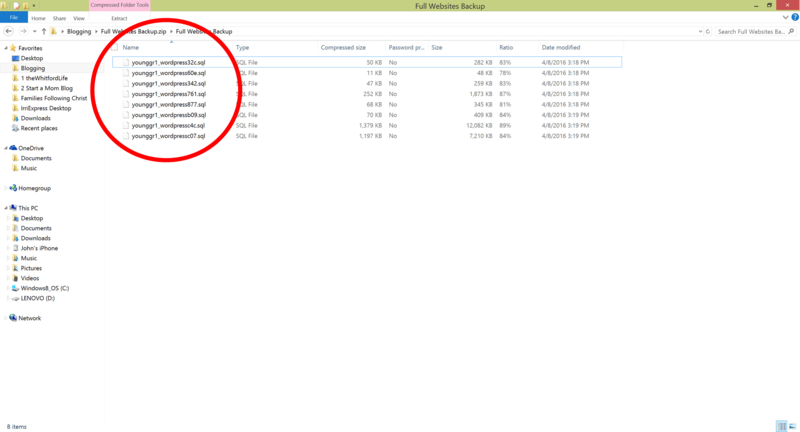 Right click on the folder that contains the databases, and select “Sent to > Compressed (zipped) folder”. Navigate to Files > File Manager. 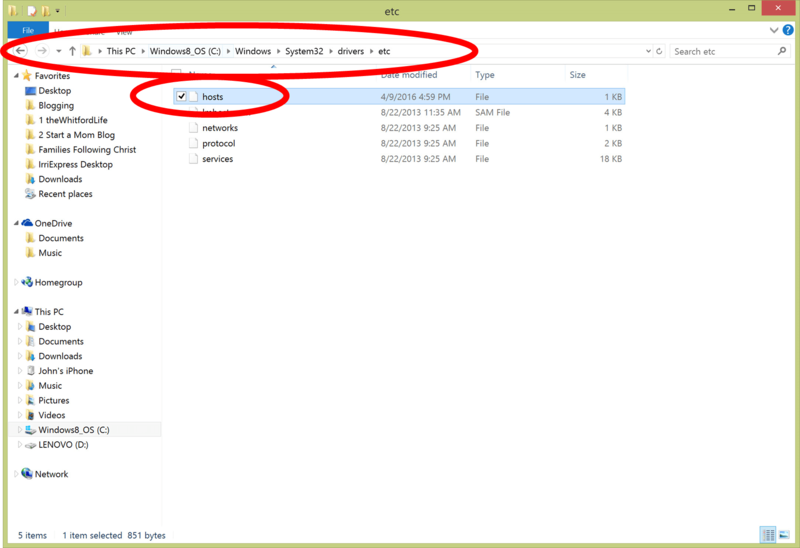 In the File Manager, use the Upload button to upload both of your zipped files. The one that you downloaded from the FTP and the second zipped file containing the website databases. If you do not get this reply from SiteGround, ask for it. Before changing over your DNS nameservers, check if the transfer went smoothly. You can do this by updating your local host file. Copy and Paste the text circled below. And paste it into your hosts file. Then go to your website, if it loads correctly, all is well! Now you can update your DNS nameservers. Click on the website on the left and update the nameserves on the right. It takes a few hours for the nameservers to update. For me, it took about 4 hours and my site was fully established on the new host. If you see the Bluehost cpanel, you are still on their servers. If you see the SiteGround cpanel, your DNS nameservers have been redirected successfully. I hope this tutorial was helpful, please let me know if you have any questions by posting them in the comments below. Thinking about switching? Watch this quick video below! Excellent post! I currently host my blog on BlueHost but my traffic has barely gotten off of the ground so no plans to change anytime soon. 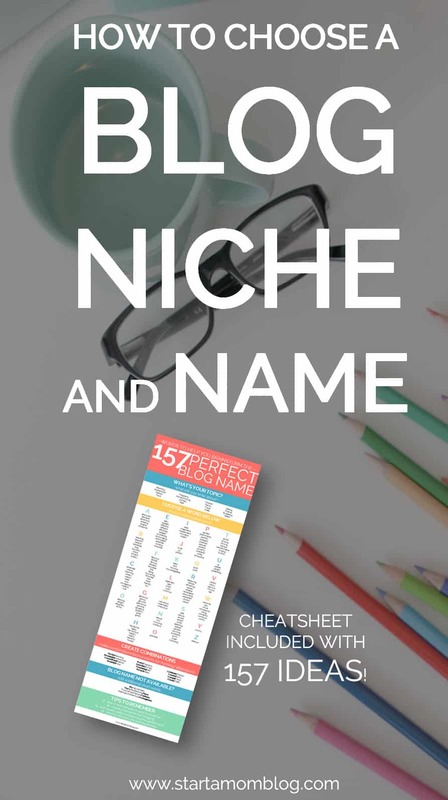 I’m an IT Professional with a full time job I’m hoping that my tech blog can someday become my main source of income. I’m very impressed by the time you spent making this post visual and detailed. If I ever do switch I will definitely use this post as a reference. Thanks for sharing! Thank you Matt! I’ll check out your blog. 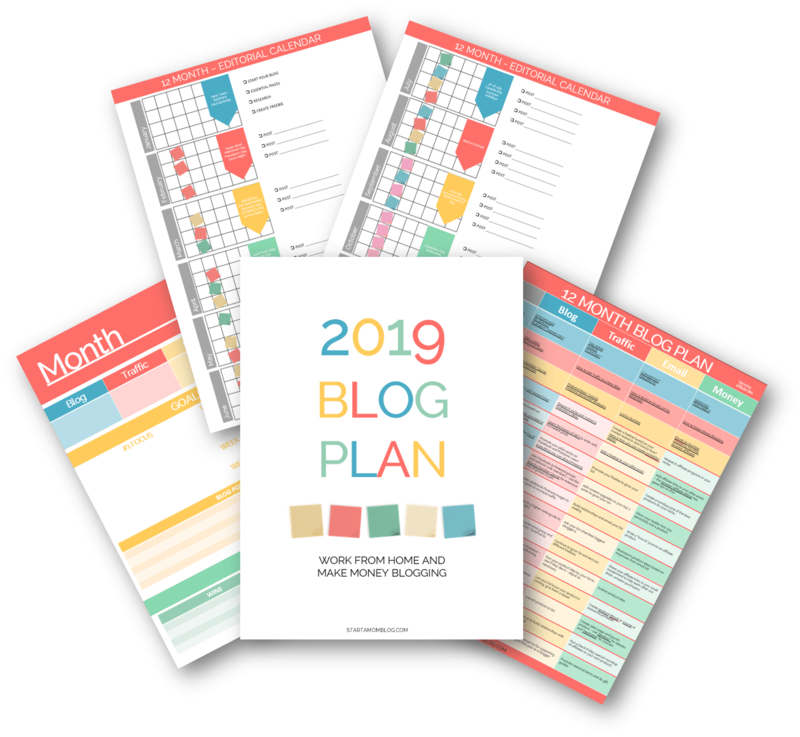 Sounds super interesting 🙂 you can use my Facebook groups promo schedule to help with your traffic. Thanks Suzi! I’m at this same point where I’m switching to Siteground. Thankfully they did most of the dirty work for me as it was just one site, but I did have to point the domain and purchase a domain transfer. Thanks for your step by step. I only needed step 16 but it saved me a lot of time searching the web! Aww thank you Andrea! Welcome to SiteGround! You helped me out too, and I appreciate it. Thank you! I signed up for Bluehost less than 30 days ago to start my 2 blogs because of a recommendation from another blogger and the fact that I’d heard of Bluehost before. 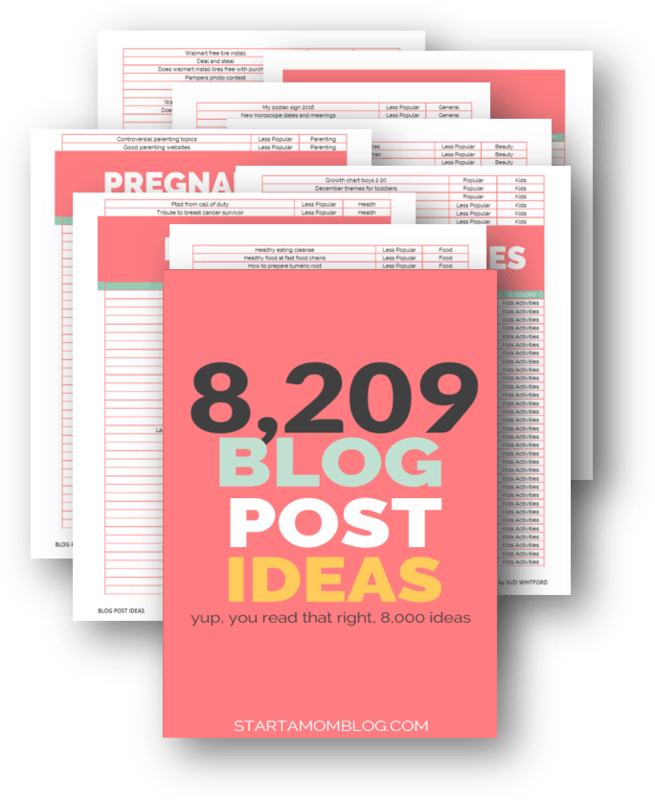 Now I’m wanting to switch to Siteground – tons of people are talking about it in a couple blogging groups I’m in. I’ve really not even started working on my websites. I’ve got to cancel bluehost in the next day or two if I want a refund… Did you go through all of these steps and wait for the transfer to be complete before requesting to cancel your bluehost plan? Yes! I definitely transferred everything and THEN cancelled my BH account. Interesting, could you do a short version? I want to start over ( no backup or restore ) with Siteground by moving my blog to them from Bluehost. I replied to an email that had the link of your course I purchased last week. Not sure if that email went through so I thought I’d also ask my question here as well. Several weeks ago I had purchased the domain name of jolynnvanwienen.com through squarespace. I hadn’t done anything with a website yet. Just reserved the name. How would I go about transferring that over to the siteground account I just started? You’ll have to redirect the nameservers from squarespace to SiteGround. 🙂 You can also truly transfer the domain name and switch registrars, but that takes longer. Thanks for providing step by step instructions on how to migrate from bluehost to siteground, i’m planning to switch my blog to siteground next month and i will definitely use your article as a reference. I would like to know why you decided to move from Bluehost to Siteground. I am still within my 30 Days to get a refund and after doing some research, I learned that Bluehost is part of the EIG Company which isn’t good. Does Siteground provide Domain Privacy and an SSL Cert to get an https:// ? I’m a new blogger, so would it be best to stick with Bluehost since I already have it, even if they’re with EGI? Or should I make the move now before I lose the refund? Sorry for the complication, I just need to get a good understanding to know whether I should transfer or not.